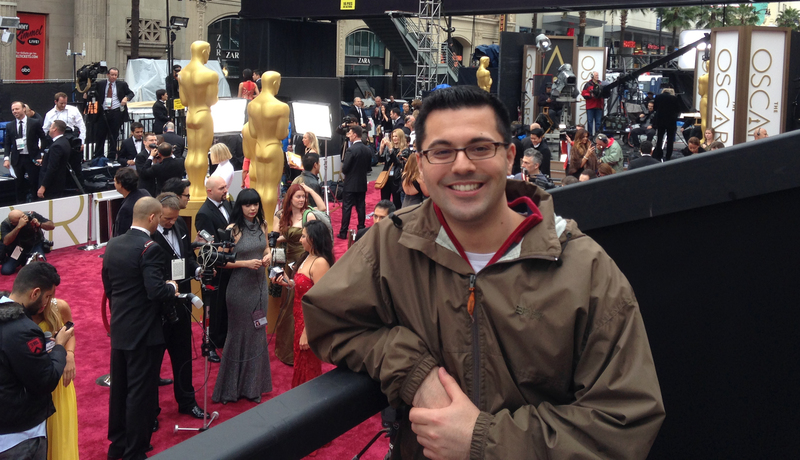 It’s not every day I get the opportunity to fly out to LA for the Oscars, so I’d be remiss if I didn’t post about my experience at this year’s Academy Awards. My friend Stephanie and I ventured to Hollywood primarily for our Red Carpet experience, but we took our extended weekend to meet with friends, see some sites, and tour the Paramount Pictures studios. 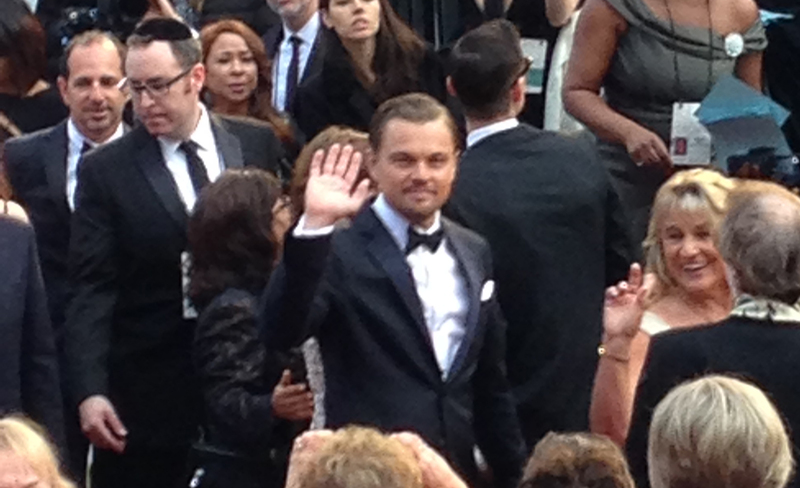 Still, our Oscar Fan Experience was the weekend’s crown jewel, so I’ll be focusing this post on that. The clock hit 10 and we checked in at Hollywood & Highland (home of the Dolby Theatre). We collected our complimentary gift bags (stuffed with snacks, a t-shirt, and other swag) and found our way into the fan zone, located just behind the bleacher seats (the part you can’t see on camera). Several stations were set up for those of us lucky enough to enjoy them. All of the Red Carpet’s sponsors were female oriented, so the majority of the stations didn’t exactly appeal to me. (I wasn’t in the mood to have my make-up or nails done and the massage station’s line was too long.) We headed straight to our seats, located just by the theatre’s entrance. Since we got there so early and the first nominees wouldn’t be stepping onto the Carpet for another several hours, there was nothing we could do except sit and wait … and wait … and wait. Despite the lack of celebrities on the Red Carpet that early, the Carpet was abuzz with press and there were plenty of shiny things to look at. Did I mention it was raining? It rarely ever rains in LA, so imagine our surprise when we arrived, greeted by a cloudy sky and trickles of rain that spat at us off and on. We wouldn’t let the rain dampen our spirits, though. 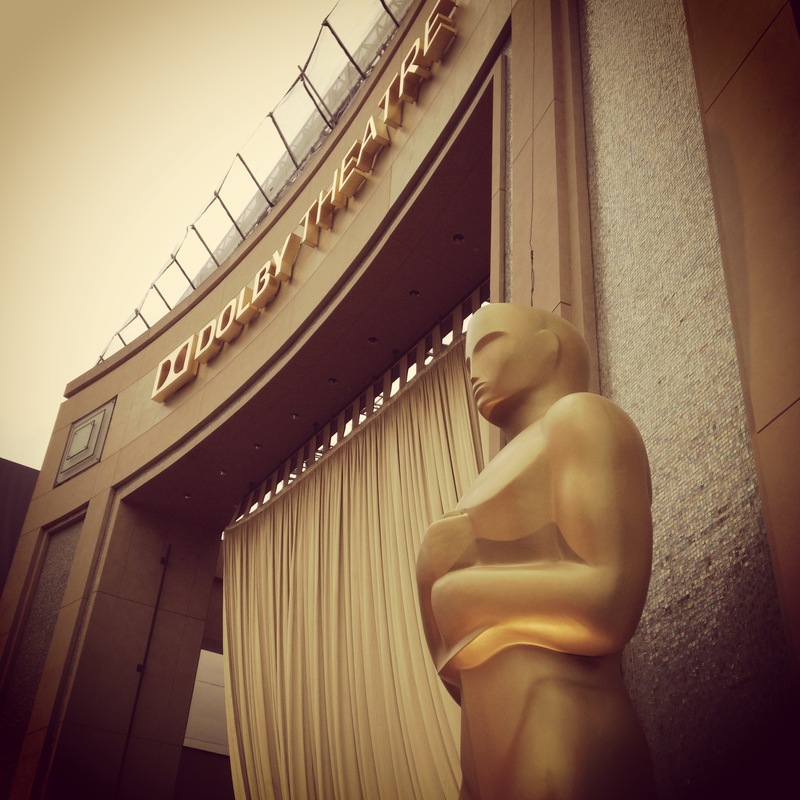 We were at the Oscars! The bleacher seats were filled with about 700 fans, all of whom won their seats in a variety of ways. I heard from the woman sitting near me that only about 10 people won via the Academy’s Fan Appreciation Week, which is how I won. There were a few thousand who entered and only 10 won; I’ve never been so lucky. It was time for lunch. A boxed lunch was provided for all 700 fans. Among other things, it included a turkey sandwich that was as big as my head. I’m half surprised they didn’t serve us sardines to complement the way we all felt sitting on top of each other. I had little space to move my arms, so eating was a bit of a challenge. All the while, the rain persisted off and on. The first to come down the Carpet were those nominated in the “lesser” categories, such as the shorts and technical categories. A bit later on, the “real” celebrities started to pile in. Press located on the other side of the Carpet, opposite us, were grabbing people like Alfonso Cuarón, Cate Blanchett, and Jared Leto for interviews. Of course, we couldn’t hear any of the interviews, but a platform with Chris Connelly was set up directly across from where we were sitting. 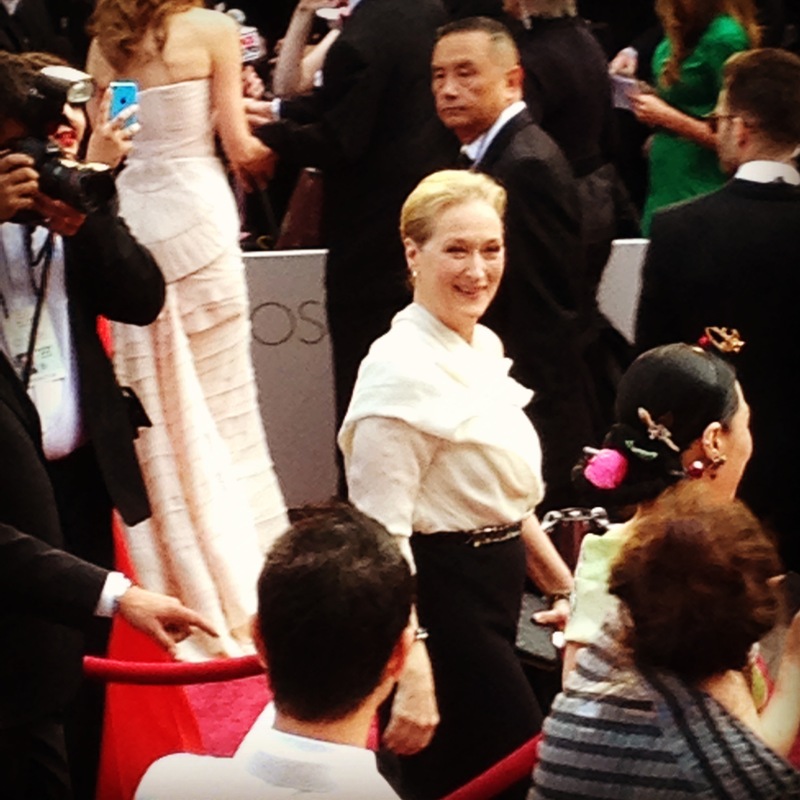 Connelly snatched up a slew of A-listers (Matthew McConaughey, Jennifer Lawrence), up-and-comers (Lupita Nyong’o, Michael B. Jordan), and Hollywood royalty (Sidney Poitier) and spoke with each for a few minutes, specifically for the benefit of those of us in the bleacher seats. 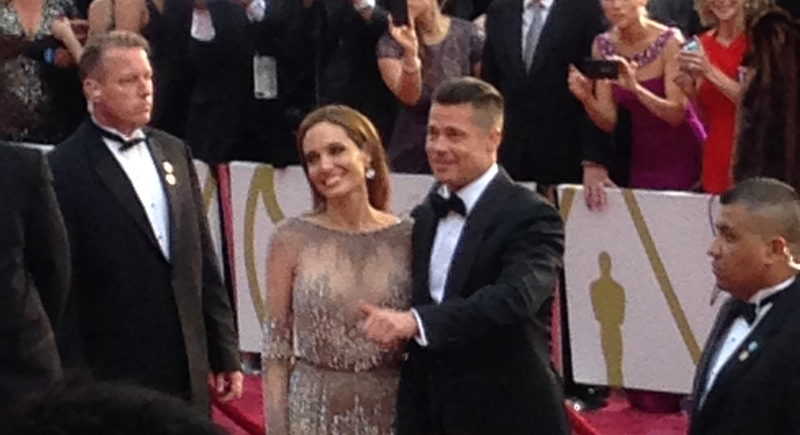 Still, it was hard to hear everything that was being said as the crowd roared when Leonardo DiCaprio and Angelina Jolie & Brad Pitt walked by (by far, the biggest pops of the night). 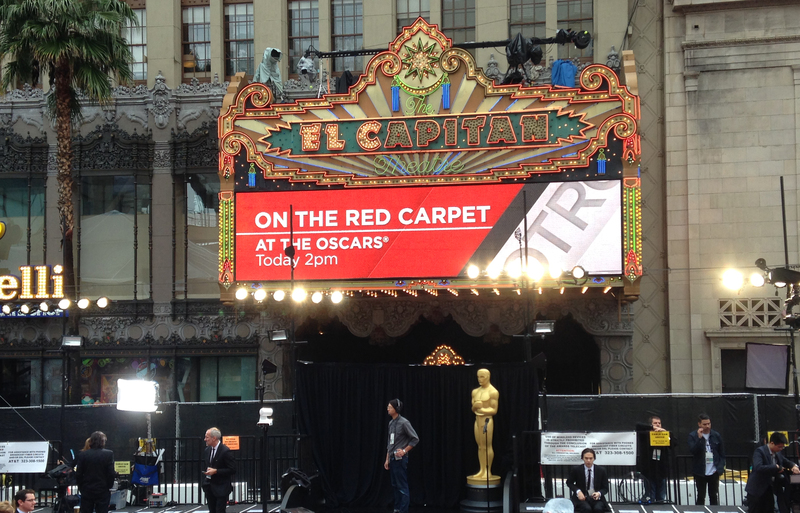 Minutes before the start of the ceremony, everyone had passed through the Carpet and filtered into the Theatre—everyone except for one last celebrity—a surprise guest. Indeed, it was Lady Gaga. Decked out in pink, she strutted down the Carpet in a way that only she could, acknowledging the screaming crowd only once, to blow a kiss. And then she was gone. The ceremony was starting and we were still in our seats. Fans were being escorted into the historic El Capitan Theatre, directly across the street, to watch the ceremony on the big screen. We were filing off the bleachers by section and Stephanie and I were in the last section. By the time we made it into the theatre, we had missed the first 20 minutes of the show (luckily, I had remembered to DVR the ceremony and we watched what we had missed once we got back to New York). A buffet dinner was set up for us, as well as complimentary popcorn and drinks. We ate while we watched. My overall experience was great and something I won’t ever forget. It renewed my spirits to push forth with my writing so that the next time I get to go to the Oscars it will be as a nominee. 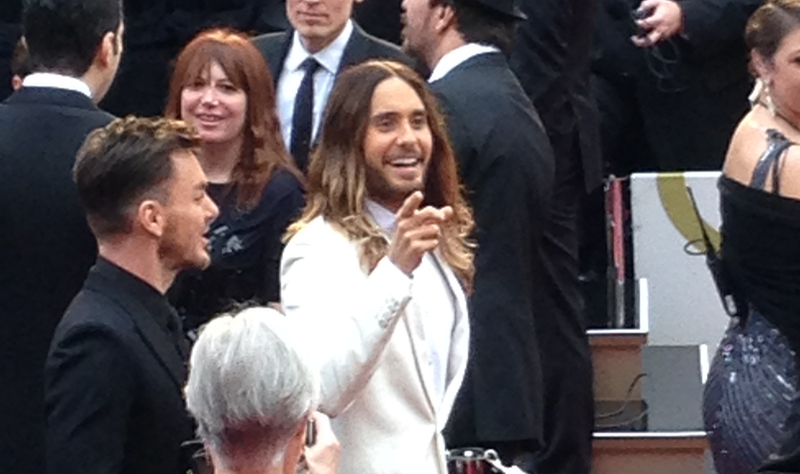 Click here for all of my Oscar and LA photos.